This black garlic from Korea has been fermented and matured through mugwort fumigation, using cypress wood and Injin mugwort. This black garlic has a sweet and sour flavour without the distinct pungent taste of regular garlic. The cloves are soft and almost jelly-like with roasted vanilla and baked plum aromas. 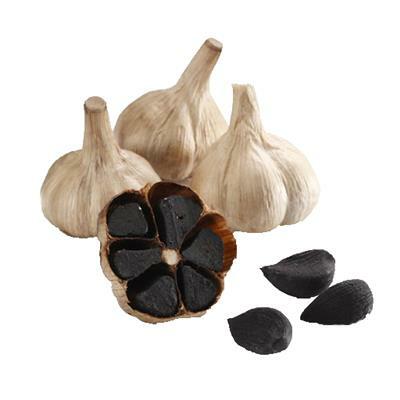 Use black garlic cloves as you would do with roasted garlic.